For the last week or so, while Mary and I have been sitting on the deck outside of the north bedroom, we have noticed how boisterous the mockingbirds seemed to be lately. 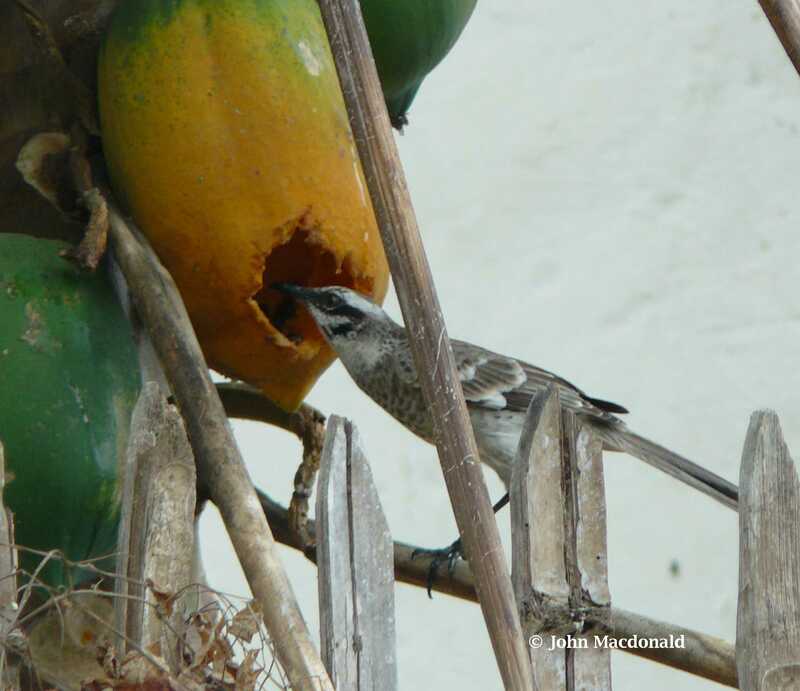 Our yard plays hosts to scores of long-tailed tropical mockingbirds throughout the year. They are hearty singers tweeting away loudly throughout the day. We especially are amused watching them hop about in the yard seeking insects under sticks and stones. Although they are primarily insect eaters they are known to supplement their diets with seeds and vegetables. As noted above, the mockingbirds sing well into the night and almost continually throughout the day. Last winter we sent a short video of this beautiful mockingbird singing away to our snow-bound northern friends to give them a taste of spring. Yesterday I stepped out onto the porch for a moment to investigate the source of a strange pecking or light hammering sound and discovered a mockingbird exhibiting some unusual behavior. It seems that mockingbirds are very protective of their area. This protective behavior is especially pronounced during mating season. 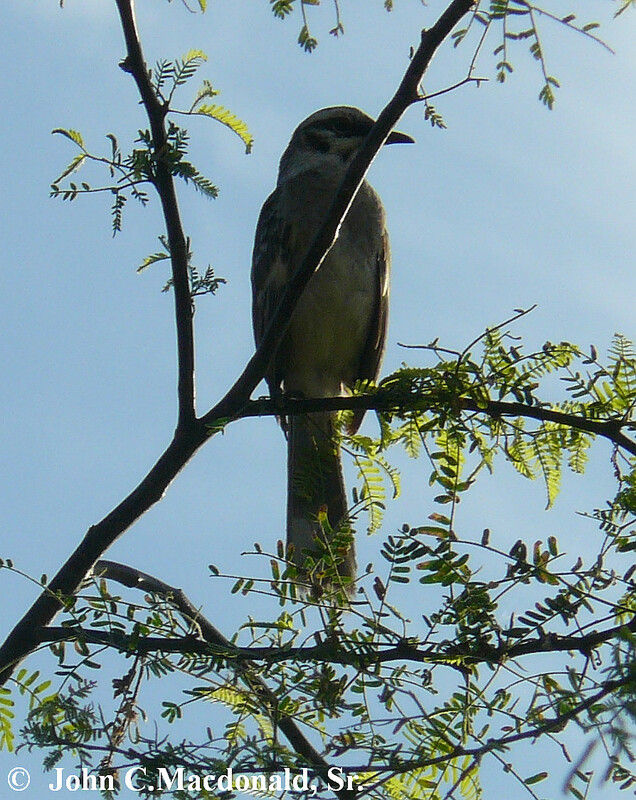 Google tells us that Ecuadorian mocking-birds generally mate from November to January. So, perhaps this behavior is influenced by an overly protective impulse during mating season or perhaps this guy simply has an unhealthy amount of self-hatred? I’m no psychologist. Note: No Kias were harmed during the filming of this video clip.